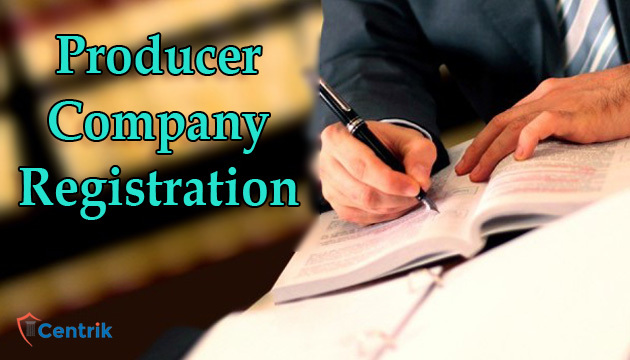 Producer Company means a corporate body having objects or activities as specified under the Act. It consists of a group of people involved in the production of primary produce or having one or more objectives relating to primary produce. In a producer company, you can appoint agriculturist members and accept deposits in the form of RD/FD and provide them maturity as well as distribute loans to your farmer members and charge interest from them. A group of ten/more people or two/more producer institutions or a combination of ten/more individuals and producer institutions can register as a producer company when Producer Company have limited share capital, Minimum paid-up capital is Rupees Five Lakhs only, Maximum fifteen directors and Minimum Five Directors, Minimum Ten individuals or two producer institutions, no limit on the maximum no. of members, The period of holding of office of the directors of a Producer Company shall range from one year to five years subject to the provisions made in the Article of Association, the maximum amount of return that can be paid by a producer company is determined by its Article of Association, The Producer company can under no situation become a deemed public company. Producer Company is a company registered under the Companies Act, 2013, which has the objective of production, harvesting, procurement, grading, pooling, handling, marketing, selling, and export of primary produce of the Members or import of goods or services for their benefit. Produce are things that have been produced or grown, especially by farming. Therefore, a Producer Company deals primarily with agriculture and post-harvest processing activities. A producer company has ‘perpetual succession’, that is continued or uninterrupted existence until it is legally dissolved. A producer company, being a separate legal person, is unaffected by the death or other departure of any member but continues to be in existence irrespective of the changes in membership. Government by the central Government, the Producer companies offer greater creditability than that provided by unregistered producer’s organization. Changes in the Board of management of a producer company can easily and swiftly be made just through filing some simple forms with ROC. A registered Producer company entitled to own, sell, enjoy, or alienate a property in its own name. A producer company can accept deposit in the form of RD/FD, and give maturity as well as distribute loans to its farmer/agriculturist members, and charge reasonable interest from them. 1. which clause of the Act & rules allows accept deposit in the form of RD/FD, and give maturity as well as distribute loans to its farmer/agriculturist members, and charge reasonable interest from them. 2. Whether a Producers company can sign joint venture, business partnership, dealership agreement etc. with other entity? 3. Other than agri production and marketing whether can enter into buy/sales or retail business of FMCG, agri Inputs, commodities and other items for members and general public?